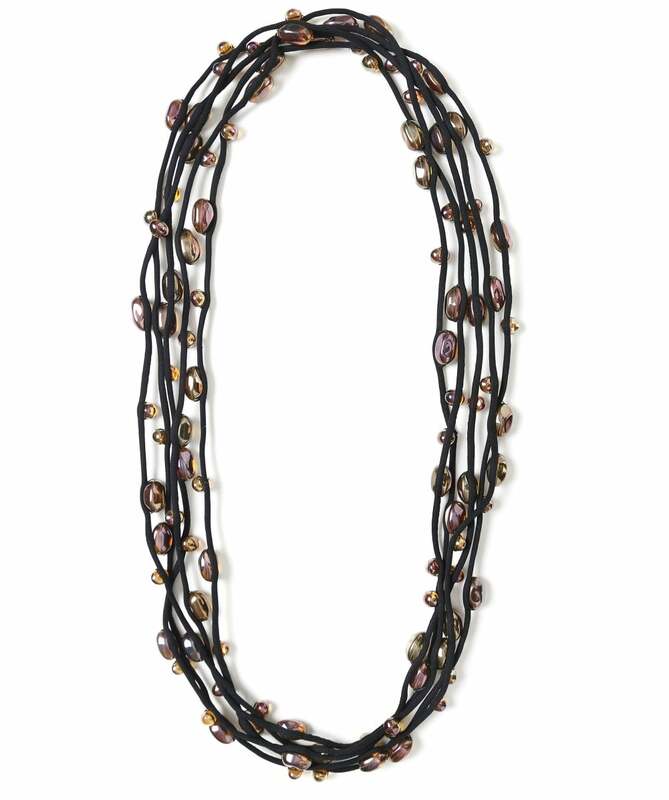 Show off your individual sense of style with the Jianhui multi strand glass bead necklace. Beautifully handcrafted from only recycled and sustainable materials, this distinctive piece of jewellery is eco-friendly and inspired by nature. Featuring a multi-strand cord and an array of glass beads that shimmer when catching the light, this necklace can be worn in multiple ways and is perfect for making a statement.